You must have at some point in your life thought of using a funny or unique username for your online social media avatar, but were unsure of what username to choose. Well, worry not. 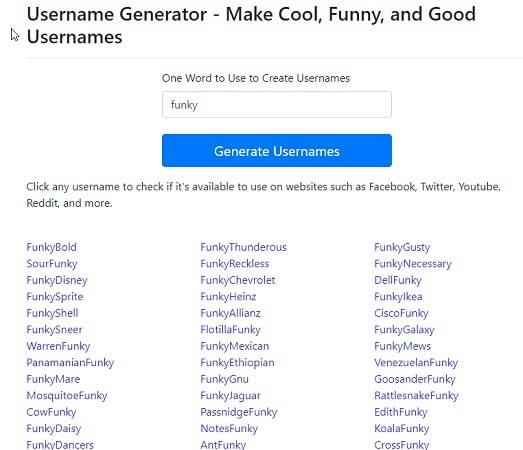 Here are 10 best funny username generator websites available where you can quickly pick one that tickles your funny bone. The first on the list is BestUsernameGenerator. Don’t go by the generic looking name of the website, it is feature packed, and you can pick out a funny username in seconds. 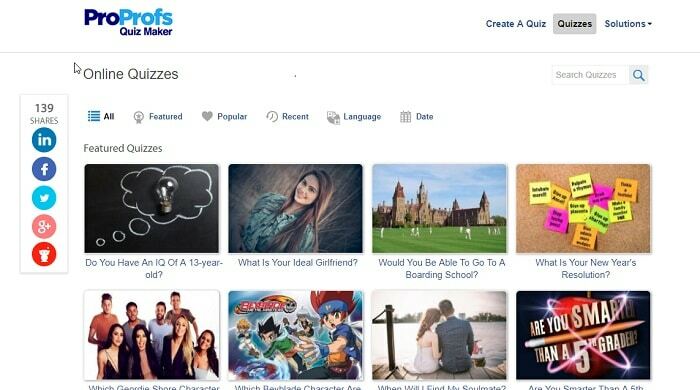 There are different categories to choose from – YouTube, Snapchat, and Instagram usernames. All you need is to enter the name of a thing or creature that you like, and select the length of the username, typically between 10-18 letters, and hit generate. 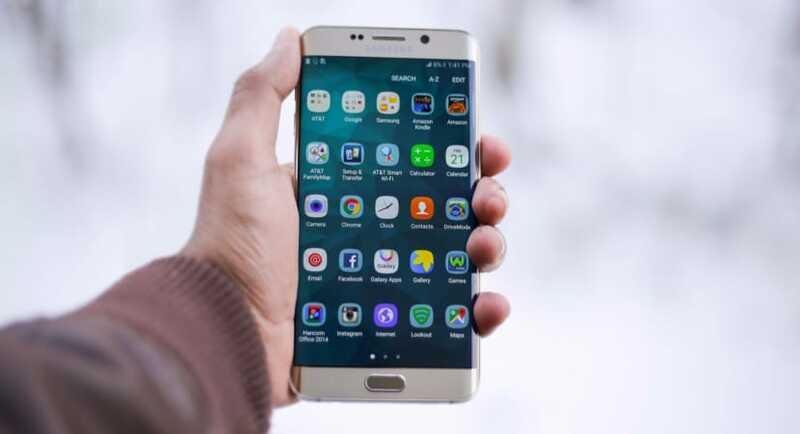 You will get over hundreds of choices to choose from, and if you like any choice, click on it, and a separate page will open that will check for the availability of the username across different social media handles. Pretty nifty, right? JimPix brings the second funny username generator on the list. Here, the interface is similar to the first one. But you get a lot of flexibility in choosing the type of username you want. You enter the word or phrase in which you want your username, and select the category from the drop-down list. Then you will find a plethora of options like creatures, emoji, food, insults, words or brands, among others. 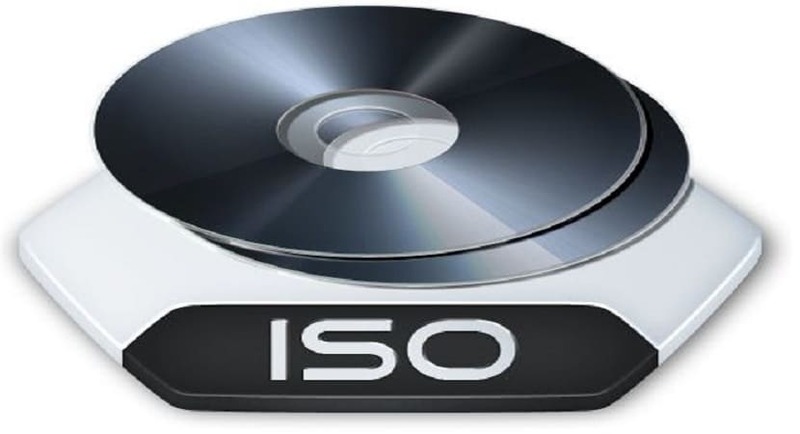 One can also select the length and the initials of their username. You hit GO and bingo you will have tons of usernames to choose from. 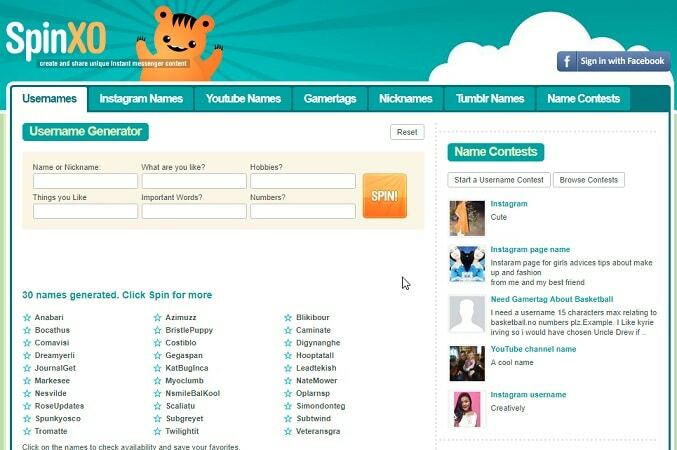 The usernames are also listed according to the different social media handles and a list of top 200 favorite usernames. 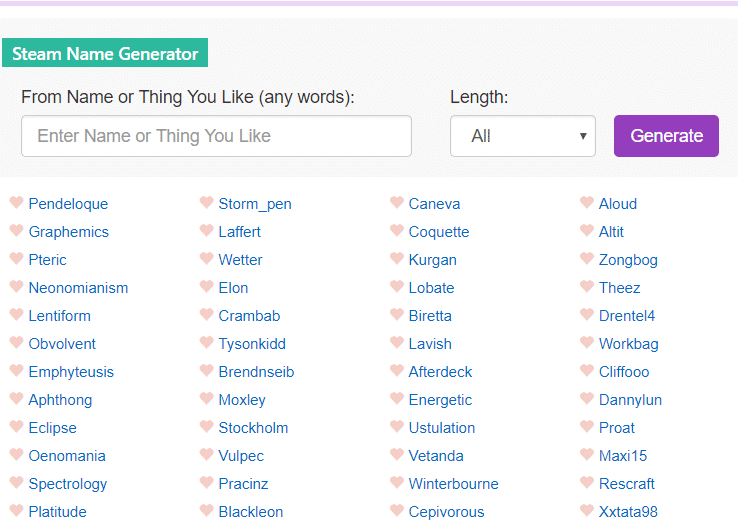 This funny username generator is truly unique in the sense that it uses a quiz to determine your personality and suggest the best matching funny name. The quiz has a total of 8 questions, and your check your taste in movies, your sense of humor, the things you like, your age, etc. Once done, you will get a truly unique and funny username. You can also share your result across your social media handles. By the way, I got “Jenchuco.” Go check it out here. The interface of SpinXO is quite interesting as you get multiple choices to base your username upon. You can choose your nickname, your favorite words, numbers or hobbies, the things you like and hit SPIN. 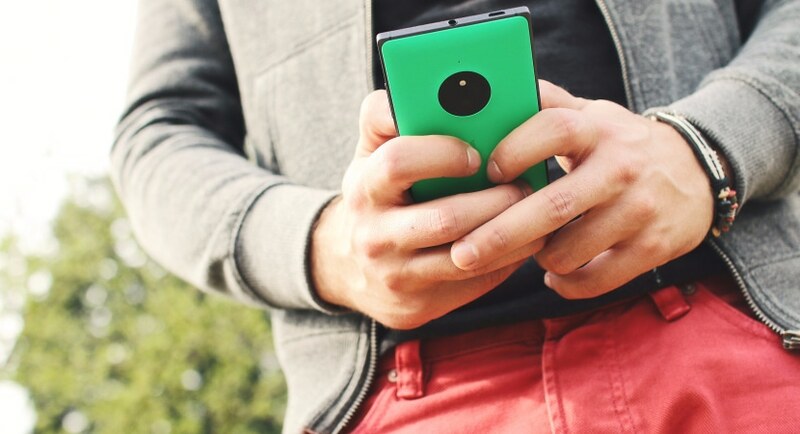 You will get a list of 30 usernames and if you are not happy with those usernames, you can hit SPIN again. Before proceeding, click on the username and check if it is already in use or not. 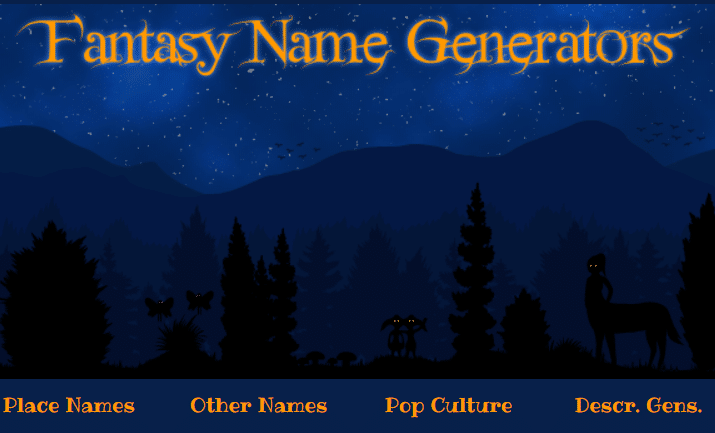 This is one of the best funny username generators if you are a gamer, and are looking for a cool and funny gaming avatar. You gaming username such as steam username will earn you major rep in any multiplayer arena, so you might want to choose one accordingly. There is a list of top 10 most popular gaming usernames, and you can choose to mix up those words and choose an anagram that represents your personality. 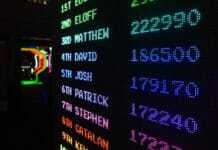 You will be spoil for choices among the names of different gaming characters or cities used in the games. Get you funny username here. You might have come up with some hilarious username ideas, only to find that they have been already taken up by someone else. 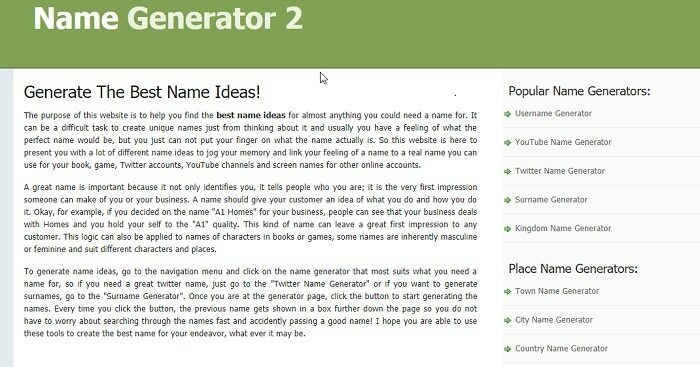 Well, NameGenerator2 will help you out here, as you can find a bunch of cool and funny usernames without pulling out your hair. There are two options: Prefix and Suffix. You enter your choice in the respective boxes and hit generate. The best part is you will only get unique usernames. So you don’t have to worry about someone else using it. 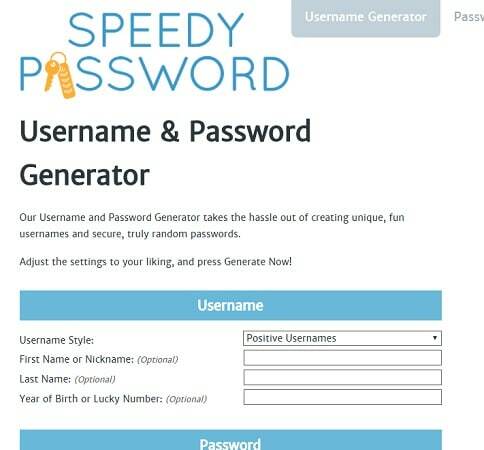 SpeedyPassword has got the dual functionality of funny username generator and password generator built into one. One can create unique, entertaining and genuinely random passwords according to their liking. You can choose your username style – positive or negative, based on books or heroes and add your nickname and lucky number if you want. You choose your password similarly and hit generate. If you are using your real name, do not also mention your date of birth, it will make your account less secure. Gramlike is purely built for Instagram lovers. The website is for cool and funny Instagram usernames. 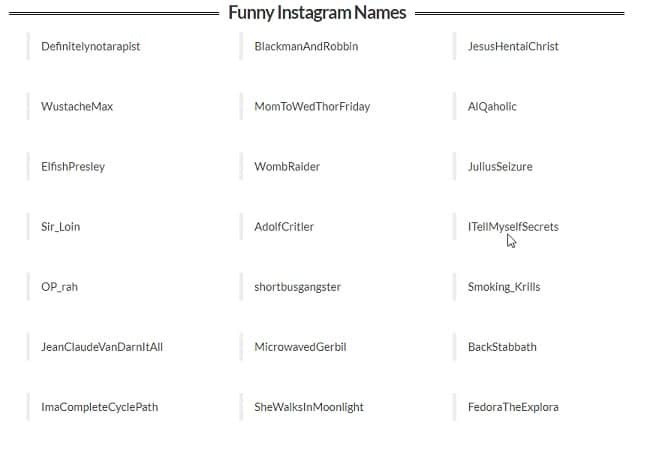 There are different categories of funny Instagram names and cool boy and girl usernames. The best part is that other users have submitted these, and if you like any, you add a little of your customization, like your favorite number or nickname, and you have your unique username. Not to forget, you can also recommend funny username ideas, and if it’s good enough to make a list, you will get 200 free followers. Sweet, right? 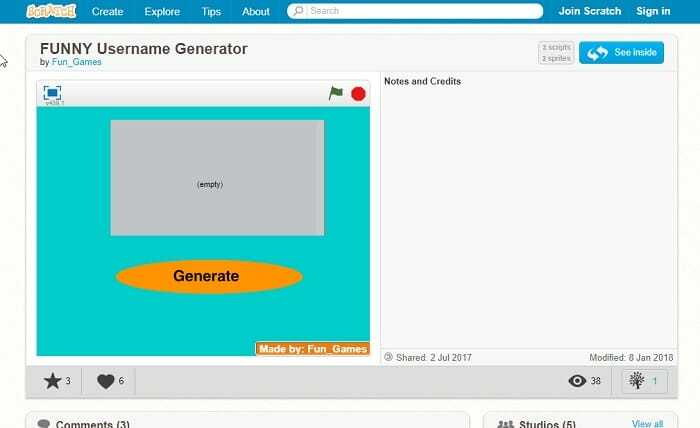 This generator is an independent project listed on “Scratch,” a leading platform for developers to showcase their talent. This is a basic generator where you get a native flash interface, and you just hit generate. The program has pre-set rules, and it will throw up funny usernames one by one, and you choose the one which you find the funniest. 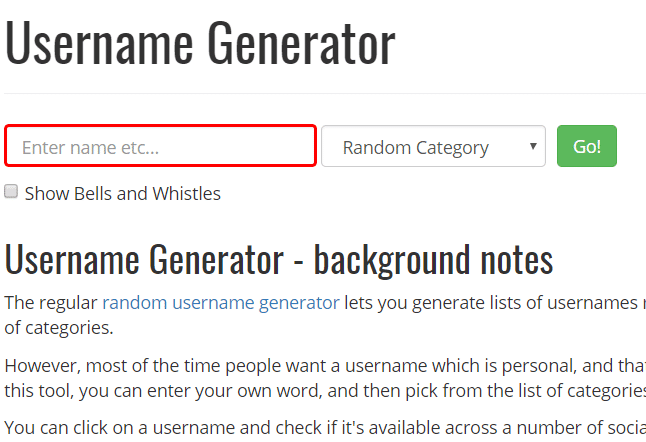 This funny username generator is perfect if you much rather prefer one-click solutions to finding funny usernames. You just enter one word, such as your nickname and it will give you dozens of options that you can choose. I am using my nickname as “funky” and was the website is showing some weird and cool usernames. Go check it out here.